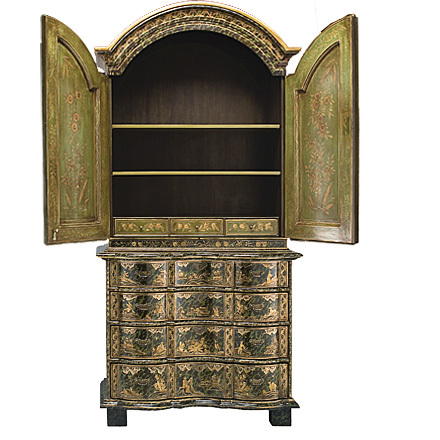 A continental lacquered cabinet with arched doors enclosing an interior of shelves and drawers, with four serpentine-shaped drawers below. 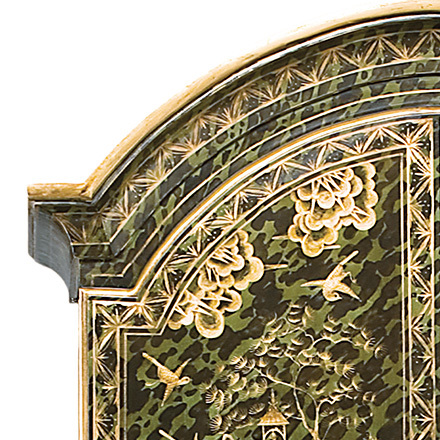 The Chinoiserie lacquer on the exterior is in gold and silver on a green faux tortoise ground with pavilions, trees, birds and figures in a landscape. 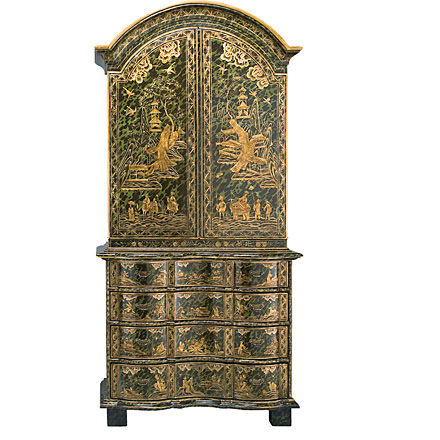 The lacquer of the interior is in tones of gold on a green ground with plants and flowers. 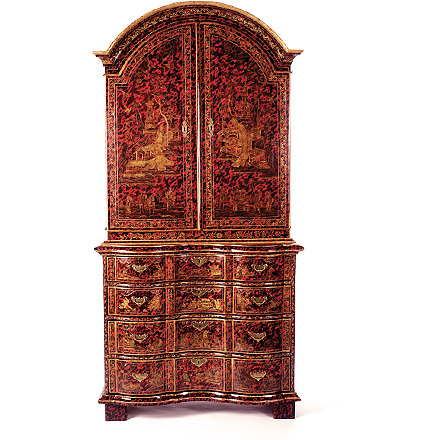 Available Finishes/Colors | Red, green, Toffee, or brown faux tortoise shell with Chinoiserie overlay painting. For custom colors or sizes, please inquire.